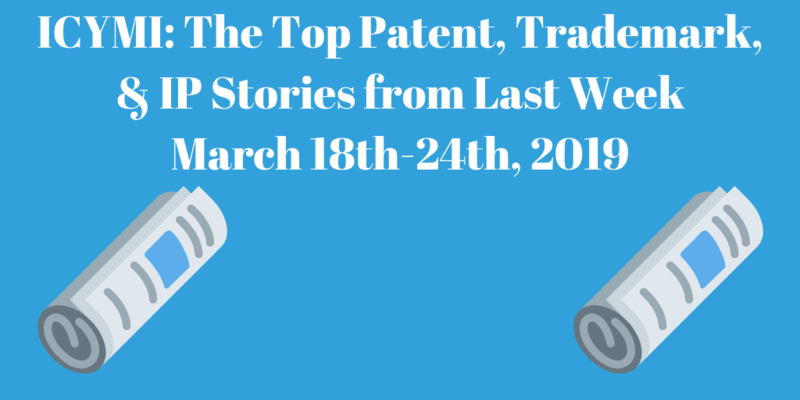 Every week, we will be highlighting the top patent, copyright, trademark, intellectual property, etc. stories of the previous week in our “In Case You Missed It” segment. The list itself is in no particular order and includes a wide range of stories from the patent world that are informative, noteworthy, or just plain bizarre. The stories included encompass everything from Supreme Court cases to insights into growing industries. Please feel free to comment your thoughts on the stories or share an important one we missed! The Supreme Court decided that it will not hear an appeal by photographer Jacobus Rentmeester against Nike over their use of a photo taken by him to (allegedly) create the infamous “Jumpman” logo. The logo, based on basketball superstar Michael Jordan, has been the face of the multi-billion dollar Air Jordan brand since 1988. The appeal was moved to the Supreme Court after the Court of Appeals for the Ninth Circuit dismissed his original appeal. 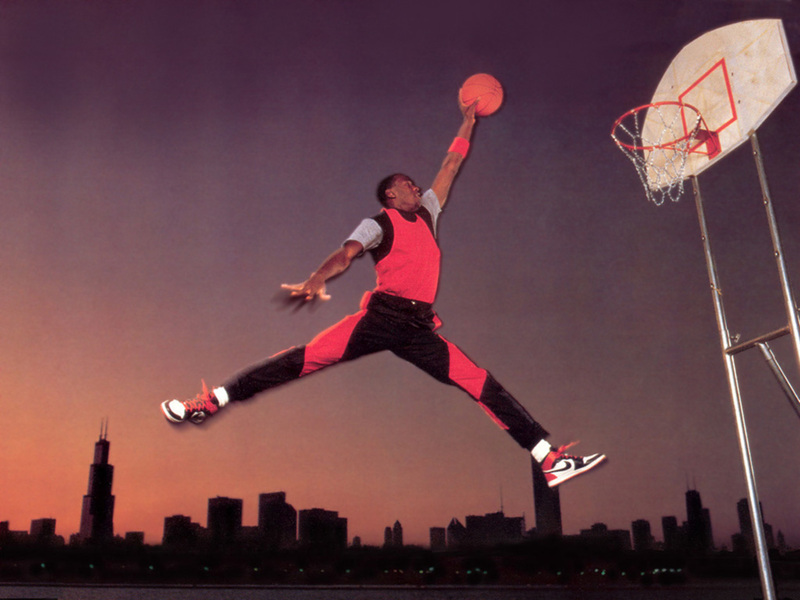 In his suit, Rentmeester alleged that Nike infringed upon his copyright when they commissioned a photo of Jordan in a “jumpman” pose similar to that of Rentmeester’s 1984 photo. It was this photo taken by Nike that led to the creation of the Jumpman logo. The Ninth District held that Rentmeester was right to allege there was some copying on Nike’s part to create the photo but not enough to copyright the pose, only the way the pose was expressed. This would include the “camera angle, timing, and shutter speed he chose” to create the photo. The Ninth District’s extrinsic test demonstrated that there were substantial differences between Rentmeester and Nike’s photos. The poses were expressed differently and there were differences in the “selection and arrangement of the photo’s otherwise unprotected elements.” Some examples the court pointed out were the differences in the color of the sky in the background, the position of the hoop, and shadow cast by Jordan. This case demonstrated how difficult it can be to sue over the creation of similar photographs if there is not definitive proof that other elements of the photo were also copied. To read more about this story, click here (via Bloomberg, March 25th, 2019). For the past few months, we have been writing about the European Union’s proposed copyright directive which seeks to modernize copyright protections online. Last week, the EU moved the measure to its final motion, prompting widespread backlash from activists and internet giants alike. The directive aims to protect content creators from the exploitation of content aggregators. One industry that will be greatly affected are news aggregators such as Google News. These news platforms will need to agree to licenses with article publishers before they can share their articles. Opponents of the bill argued that such a measure would hurt small publishers who would have difficulty driving clicks to their articles without the promotion these platforms provide. Additionally, Google would be forced to pick “winners and losers” when deciding who to pay for content. In response, Google suggested it may be forced to remove the news service altogether from Europe. The most drastic part of the bill is Article 13 however. This section of the measure states that websites will now be liable for copyright breaches on their platforms. This is a drastic reversal from the previous norm where rights holders would prompt removal of copyright violations by flagging them or notifying administrators. Some have suggested this will lead to “pre-filter” systems whereby copyrighted content will be prevented from being able to be posted in the first place, although the EU has suggested that this will not be the case. Several tech giants have voiced their disapproval over the proposal. Twitter says the bill will threaten the “open, creative and conversational nature of the internet” while Google contends it will “hurt Europe’s creative and digital economies.” The proposal still needs ratification from the EU. This will occur shortly. To read more about this story, click here (via CNBC, March 29th, 2019). With March Madness in full swing, it is important that business owners know the amount of trademarks the NCAA holds in regards to the tournament. They range from names of the rounds to phrases associated with “The Big Dance” (also trademarked). Of course there are trademarks for the “Final Four” and “Elite Eight” but terms like “68 Teams, One Dream” and “And Then There Were Four” are also protected. Like the NFL, the NCAA is very protective of their trademarks. Whenever a new phase is thrown around during the tournament, the organization tends to lock them down with a trademark before they get too popular. In addition, they also trademark “The Road to [Whatever City the Final Four Will Be].” For example, this year “The Road to Indianapolis” is trademarked. Some of the many trademarks the NCAA owns. The full list can be found here. If you’re a business or restaurant owner who plans on drawing in a crowd for the Final Four, make sure you’ve read this list before creating promotions. To read more about this story, click here (via StarTribune, March 26th, 2019). Microsoft SVP and General Counsel Erich Andersen says the company is “really committed to helping address the proliferation of intellectual property lawsuits, especially ones that are brought by non-practicing entities, or so-called trolls.” Andersen went on to say that startups will own the patents from the get-go. As the internet of things and cloud infrastructure become more interconnected in our lives, IP infringement risks will also inevitably arise. With the growing uncertainty of software patent protection, it is important that developers consider their vulnerability to IP suits and consider services like this to reduce their exposure. To read more about this story, click here (via TechCrunch, March 28th, 2019). Robert Cerasa. I am a senior biology student at Arizona State University. I have great interest in inventions and patents. I intend to sit for the patent bar and write patents as a patent agent after graduation.